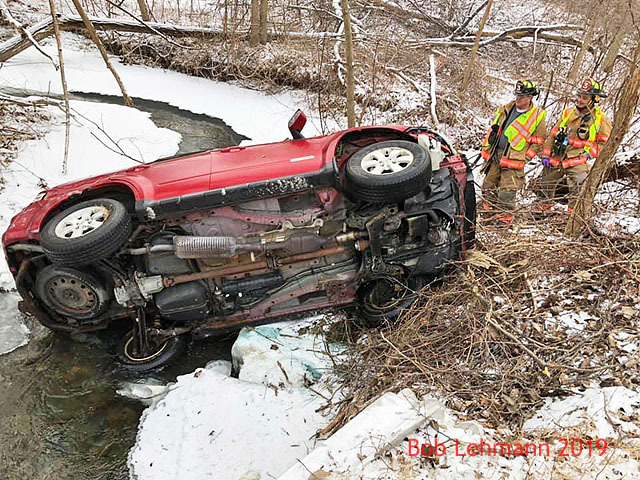 This morning, Chief Bob Lehmann, R-11 and U-11 responded to a one vehicle rollover accident on Michael Road. 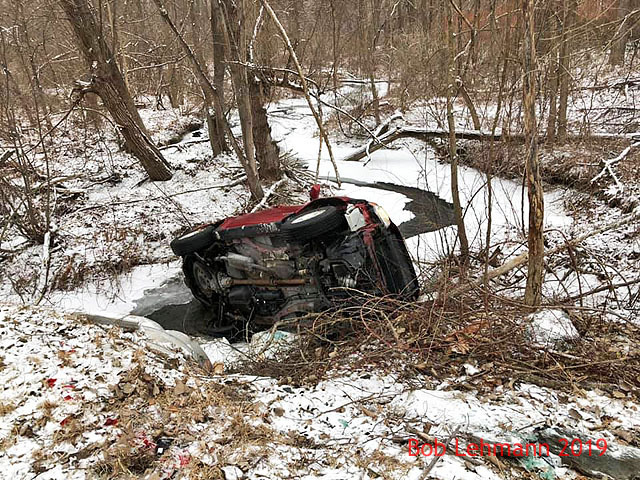 Chief Lehmann worked with Officers of the East Greenbush Police Department to extricate the patient from the vehicle located in the creek. The patient was out of the vehicle before the apparatus arrived on scene. R-11 provided support while U-11 assisted with traffic control. 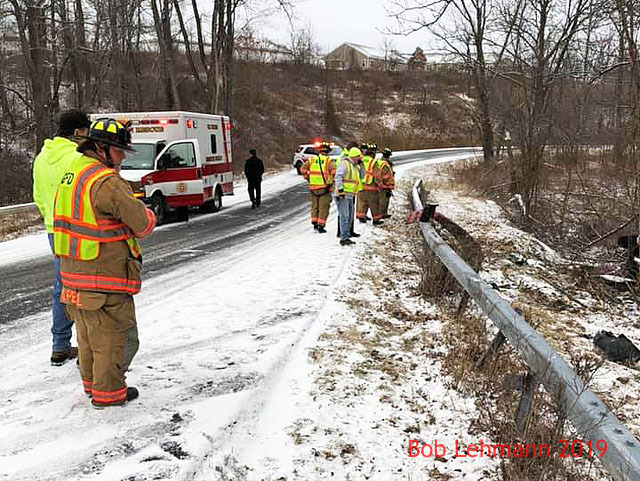 The patient suffered only minor injuries and was treated on-scene by medics and EMTs from the Bruen Rescue Squad. 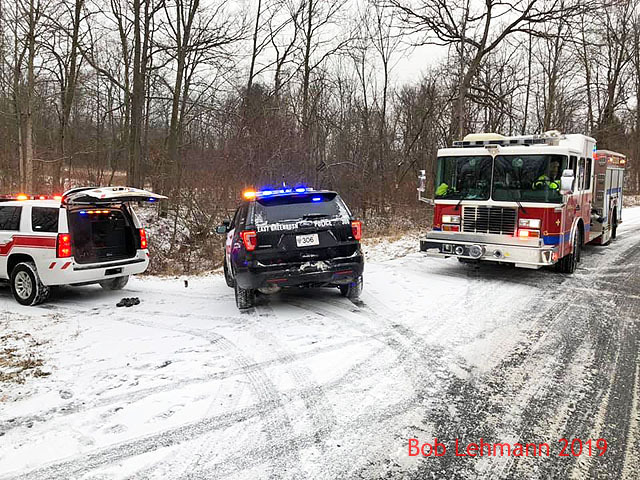 We remind everyone on the roads to take their time and don’t drive in the snow if not necessary.